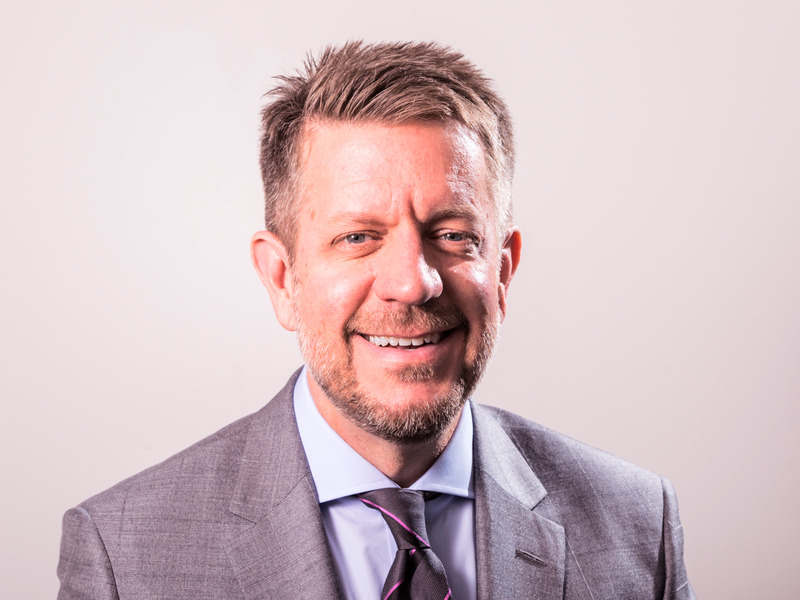 Chip Paucek is the cofounder and CEO of the education-tech company 2U. Chip Paucek, cofounder of education tech company 2U, used to send a handwritten note to every employee on their work anniversary. He made sure not to follow a template, but to personalize each one. It was a great team-building exercise during the company's early days, back when there were 10 employees. But then the startup grew to 50 workers, and then 100. Today, Paucek finds himself the CEO of a company with a market cap that as of this writing is around $4 billion, brought in $412 million in revenue last year, and is on track to bringing in $1 billion annually in a few years. He tried writing those letters for as long as he could, and then it just became a "sh--show," he told Business Insider after announcing 2U's earnings last month. It was just one small example of how he's had to change as a leader since taking the company public. "You have to evolve," he said. "You have to learn." Paucek had always intended to scale the company, which he took public in 2014. The CEO says his startup helped transform the concept of adapting college classes to an online format and having them count for credits (he's partnered with the likes of Yale, MIT, and Oxford). When this idea became more widely accepted, the business took off. One way Paucek has ensured that he keeps growing as a leader alongside his company is by developing a close relationship with a robust board. There's been a particular piece of advice that one board member, Netflix's chief product officer Greg Peters, told him recently: "Demote the authority, demote the authority, demote the authority." This has become a mantra to Paucek, who says he's "obsessed with it right now." As 2U tries to grow its entire business by 30% annually for the next few years, Paucek is finding that his time has to increasingly be spent on the bigger picture. Micromanaging is no longer an option. He says Peters' advice in practice is like creating lanes for his employees to run down, giving them the freedom to fall and "bruise their shins" now and then. That's not to say Paucek is adopting a sort of "fail fast" mentality — he actually despises that mindset— but he's been learning to trust his team more. He's begun questioning meeting invitations, accepting only ones that require his presence and pushing the rest to his senior leaders. It's not an act of dismissal so much as it is an appointment for the leaders he's passing aspects of his authority to. And in this transition phase, he's making sure to support rather than punish these leaders when their plans don't go exactly right. If he's going to trust them, he can't have them be afraid of taking risks. "You can't do it all anymore, and if you're trying, you probably shouldn't be in the job," he said, reflecting on his position. "So like, demoting that true authority to make the call and supporting them when they get it wrong is hard. It's really hard."